Moldovan pilots, held hostage in Afghanistan in 2015, were due to arrive home four months ago, but the liberation operation was blocked by President Igor Dodon because he used this case later for his election campaign. The tough accusations come from the President of Parliament, Andrian Candu, who said on Facebook that Dodon's gesture is a criminal. The head of state announced in a briefing that the pilots were released from captivity and are staying in Moscow for few days and will arrived in Moldova in a week. Candu was indignant that the two pilots were not brought to families directly in Moldova. "It is good news that Moldovan pilots held hostage in Afghanistan are good and they will reach home soon. The Moldovan authorities are doing official actions to bring them home urgently. 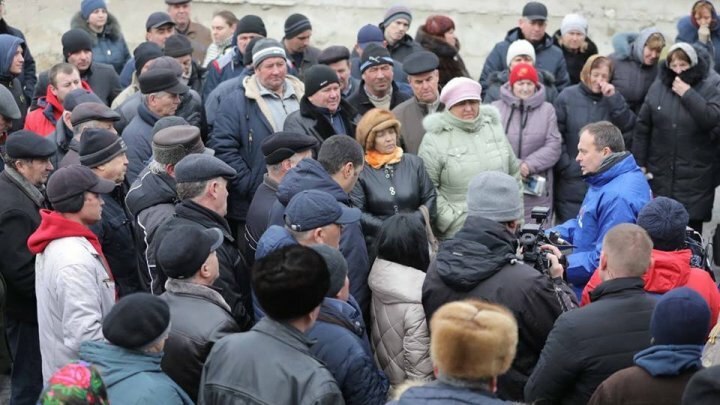 As a person informed updates of negotiation for their release, I can tell you that the Moldovan hostages were about to get home four months ago, when the Moldovan authorities finalized the negotiations, but at the last moment, everything was blocked. Someone told the kidnappers to keep them a little longer and send them home through Moscow. Our authorities have been trying for 4 months to find out who caused this blockade and for what purpose. It's very clear now who did it. It's Igor Dodon who wanted them to come back home only during the election campaign and to use it cynically. That is why the hostages were not brought directly to Moldova to families, although the authorities prepared their direct transfer to Chisinau. They were taken to Moscow and held there until Dodon could use them for the election. We formally ask President Dodon not to hold Moldovan pilots in Moscow after three years they suffered a lot. Moreover, the Moldovan authorities are going to analyze all this situation and give legal marks for the way Igor Dodon used to prevent them from coming home as soon as possible. This action is criminal. Just as an act of extreme gravity is how Dodon exerts pressure on them to make statements that would be favorable to PSRM in the electoral campaign. The subject should not be exploited in any election, as this could complicate the situation. The Moldovan authorities have been very discreet about these negotiations because the subject concerns the life of some people, not for PR and electoral campaigns. It should have been publicized after they reach home safely. Authorities keep in touch with their parents and will do everything to bring them home as soon as possible. Afterwards, we will be able to offer further information about the negotiations", said Andrian Candu, Parliament Speaker. Andrian Candu responds inspiringly to Cărpineni young girl's question. What did she ask Parliament Speaker?